Peyton had been battling neck injuries for the past couple of years and had a number of surgeries (4) to repair the problem. His last surgery was September 8 2011. This surgery was a one-level cervical neck fusion, and the typical minimum recovery time is reportedly two to three months. He never made it back to play during the 2011 season and had just been signed before the season to a 5 year 90 million dollar contract. By March he was guaranteed 24 million dollars in which the Colts had the option to pay him and let him be their QB for the 2012 season. Turns out the Colts decided to go in a different direction. With an aging injury recovering Manning the Colts owner Jim Irsay felt it was too big of a risk to pay him that much money and bring him back. Could we really blame him though? How often do QB’s play at a high level past the age of 35 with different injuries sustained. Safe to say there’s not very many. What also kicked this whole situation into motion was emergence of Andrew Luck possibly the best QB to come out of college since Peyton Manning in 1998. 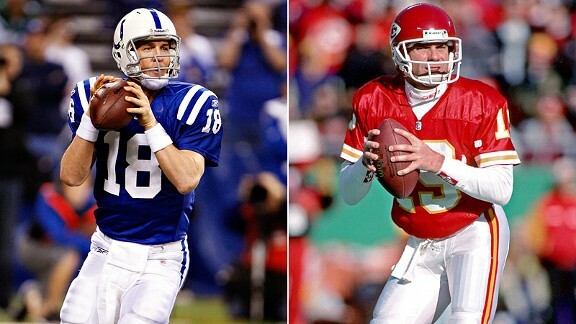 With mechanics and intangibles similar to Manning the Colts had no choice but to go in a different direction. Many fans and sports personalities felt that the Colts should keep Manning and let Luck learn from him. Yes there has been situations where that has worked. First one that comes to mind was Aaron Rodgers sitting behind Brett Favre and eventually becoming the starter. I don’t believe that would’ve worked. Manning would’ve felt he had to prove something because they were bringing in this hot rookie QB to be the future when he retired. Honestly Luck would be ready play in the 2012 season. He was pro ready last season at Stanford and could step right in and play immediately. So overall both would’ve likely been impatient. This is why the Colts had no choice but to go in the direction of Andrew Luck, especially coming off the worst season they’ve had in a long time and other aging players like Manning. They had to go in a direction with younger talent. People shouldn’t be shocked by this move because it’s happened with some of the best QB’s throughout history. Joe Montana from the 49ers to the Chiefs. 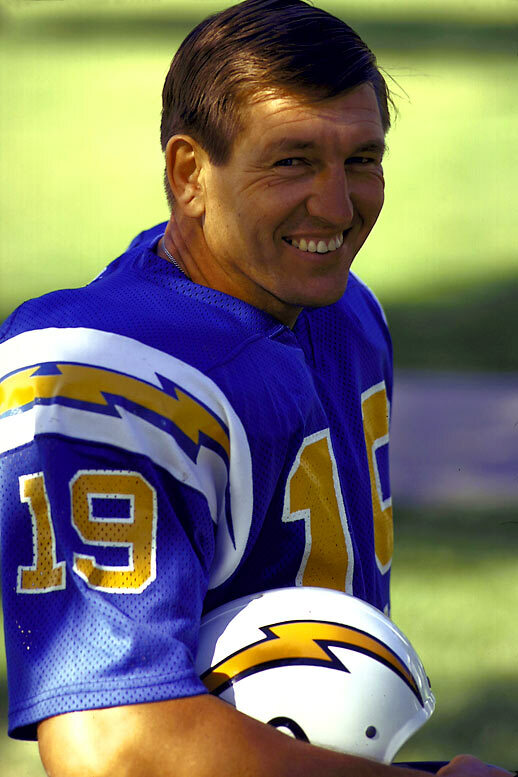 Johnny Unitas from the Colts to the Chargers. 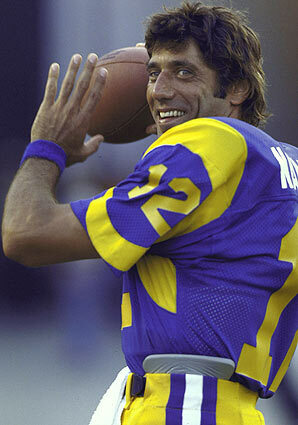 Joe Namath from the Jets to the Rams. Brett Favre from the Packers to the Jets and Vikings. It’s weird to see these legends of the game play in different uniforms, but it’s definitely part of the game. Very rarely do we see these guys play at a high level later in their career. Brett Favre had a great season in his second to last year with the Vikings almost leading them to a Super Bowl but finally showed his age in his very last season in 2010. We rarely see any players finish their careers with the same team . QB’s such as John Elway and Dan Marino are the ones I can think of that spent their entire career with one team. Elway is the only one I’ve ever known to play at a high level at the end of his career which led to 2 Super Bowl Titles back to back. Here’s my answer to that. If I were Peyton there’s several teams I would look at. The Dolphins, Seahawks, Chiefs , Redskins, Cardinals, Jets, and 49ers. Maybe even the Denver Broncos as well. I feel the best situation would be would be in Miami. Miami have a nice young squad and played well in some games last year. He would have one of the best receivers in the game Brandon Marshall along with a decent WR core and TE Anthony Fasano who isn’t that bad. It would also be great to see him and Tom Brady play twice a year for the next couple of years. We all know how great that rivalry is. Other teams that I feel he’d be a great fit are the Seahawks and Cardinals. Seahawks have Charlie Whitehurst (clipboard Jesus) and Tavaris Jackson. Enough said….. The Cardinals have their QB they paid money for Kevin Kolb who really didn’t play well last season and his backup John Skelton who could easily play over him. It would be nice to see Peyton Manning throw the ball to Larry Fitzgerald and the rest of that Cardinals receiving core as well. I really don’t see the 9ers just because they seem to have all the confidence in the world with Alex Smith and he almost had them in a Super Bowl last year. Denver Broncos seem to be sticking with Tim Tebow but we all know how that song and dance goes. People keep mentioning the Redskins as well. If I were Peyton I’d stay as far away as I can from the Redskins. That organization is known to ruin free agents careers. The most recent case was DL Albert Haynesworth. To me that team would kill his career and not rejuvenate it. In the end he should just sign with the Dolphins. I think with him at QB that team would instantly be a playoff team and would compete with the New England Patriots for the Division Crown. In the end if Peyton’s neck holds up and he gets that velocity back on his ball He’ll have a couple more good years maybe even 3. Depends on his offensive line as well. We all know he had one of the better offensive lines during his time in Indy. If he’s getting hit constantly that can do some damage and possibly have more long term affects on him after his career is over. I’ve never really been a fan of the Manning Family but I’d like to see him finish his career strong possibly competing for another Super Bowl title. He’s earned that right. Well, haven’t done one of these in a while. Might as well be for this weekend because let’s face it: SUPERBOWL WEEKEND IS UPON US! But before we get to the big game, let’s focus on tonight’s (Saturday) event, UFC 126. 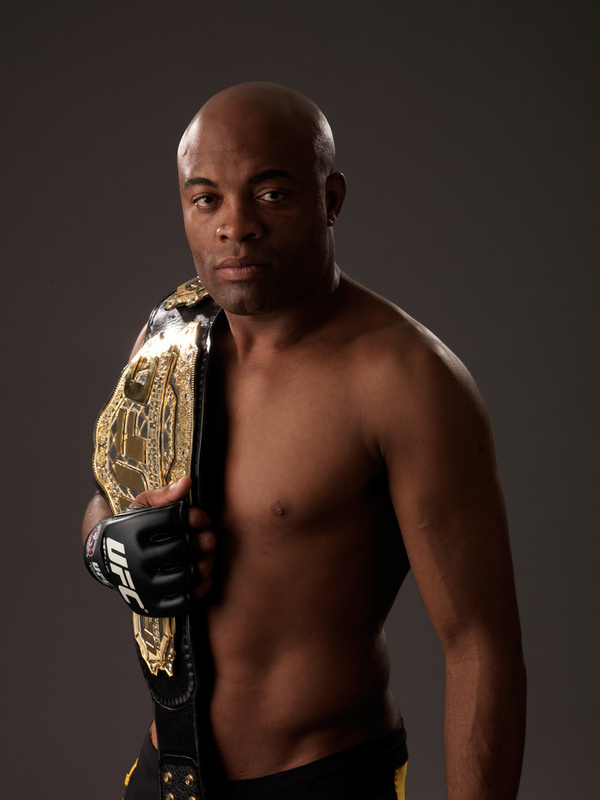 PREDICTION: Silva by KO, round 2. When I first heard that Vitor Belfort was coming back to the UFC to fight Anderson Silva, my initial thought was Hughes vs. Gracie 2 except it’ll be Anderson Silva playing the role of Matt Hughes while Vitor Belfort plays the role Royce (hoyse) Gracie. Don’t get wrong, I grew up watching the UFC since its inception and have witnessed countless match-ups fought by the legends and pioneers of mixed martial arts. But there’s one key difference between then and now: rules and sanctioned fights. Royce Gracie became a legend for beating up guys twice his size BUT, however, he was allowed any tactics available in his arsenal. Same thing with Vitor: a man known for 1st round KO’s and a vicious set moves that he’d unleash within a blink of an eye. However, much like Gracie, he made his name during the days of few rules and using tactics that have since been banned by the UFC (e.g. wearing wrestling shoes, kicks with shoes both standing and on the ground, and knees to the head while on the ground just to name a few). As much as I want to see Vitor beat the snot out of Silva, I just don’t know how up to par he is with today’s style of mixed martial arts. When Gracie fought Hughes, it was clearly evident of just how much this sport has evolved. This is definitely going to be a slugfest between two of today’s best brawlers. I don’t really know what else to say other than the only time this fight will be on the ground is probably midway through the 2nd round when they will have exhausted themselves from throwing so many punches. And even then, unless one of them is in guard or poised for a submission, the ref’s not going to let this fight turn into a grappling match. But…should this fight go to the ground, Griffin will have the edge. He’s a much better grappler (and has better endurance) than Franklin. We won’t see his ground game until somewhere in round 2. The longer this fight goes on, the more likely Forrest will be to win. However, if this fight doesn’t go to the ground then Rich Franklin will have the edge. His striking abilities far exceed Griffin’s. Coming off wins over Wanderlei Silva and KO’ing Chuck Liddell, he’s poised to continue his winning streak as long as he controls where the fight goes. His strategy will be to keep the fight standing. Should he do so, he will walk out with the win but only if he’s able to KO Griffin in the 2nd round. PREDICTION: Read the entire post. It’s complicated. Here’s another great fight by two up-and-coming stars in the UFC. Jon “Bones” Jones is relatively new to mixed martial arts but in an incredibly short amount of time, he’s taken to MMA like a fish to water; a natural to say the least. Ryan Bader, Ultimate Fighter season 8 winner, will have his hands full tonight. Both are undefeated and both will not let this fight be left in the hands of the judges. From what I’ve heard, I’m pretty sure that Bader will be the favorite to win this fight after coming off wins against Keith Jardine and Antonio Rogerio Noguiera (Minotauro Noguiera’s twin brother). However, BE WARNED IF YOU’RE THINKING OF PUTTING MONEY ON BADER. I say this because Jones is fast–very fast–in his striking and has much greater stamina than Bader. You couple that with Jones’ 84″ reach (longest in UFC history), Bader has to put this fight away as quick as humanly possible. He won’t be able to keep up with Jones should this fight reach round 3. MY PREDICTION: If Bader can’t put Jones away by round 2, Jones will win by either KO or decision. Bader’s first 2 minutes will be spent trying to get the feel for Jones. Jones’ first 2 minutes will be spent looking for opening in Bader’s stance and exploiting them will extreme sudden moves. I’m expecting at least 1 spinning backfist. At minute 3, Bader will begin to implement his plan of attack and will do so for the remainder of the round. He’ll land a few punches while trying to swing for the fence. However, he won’t land a knockout because of the speed of Jones. SECOND ROUND PREDICTION: Too Tough to Call. The X Factor: Does Bader take the fight to the ground or stay standing? Bader is smart and will have a better feel for Jones’ plan of attack. He’ll still continue to swing for the fence but will score more points off his ground game. He was an NCAA Wrestling All-American at Arizona State and should have no problem controlling the fight on the ground. Jones will land a few good punches during the first couple minutes of round 2. Bader will be able to defend a little better but won’t be able to keep up with Jones’ speed of attack. Jones will outpunch Bader. SCENARIO #3 – Fight ends by one of these outcomes: (1) Bader by KO, (2) Jones by KO, or (3) Jones by submission [arm bar]. As much as I would like to see Green Bay win the big one, I realize that I have more favorite players (e.g. Denis Dixon, Maurkice Pouncey, Arnaz Battle, Mike Wallace; NOT “Big Ben”) playing for the Steelers than the Packers (e.g. fellow SDSU alum, Brett Swain). So with that, GO PITTSBURGH!!! I’ll comment more on this later but right now…IT’S TIME!!! . . . FOR UFC 126! Possibly the biggest trade of the season happened on the morning of October 6th. New England Patriots veteran WR Randy Moss was traded back to the team he started his career with–the Minnesota Vikings–for a 3rd round draft pick. The New England Patriots are known to make moves like this: getting draft picks by dumping veteran players. Remember the situation with Richard Seymour last year? He was complaining about wanting a new contract and the Patriots management didn’t budge. They simply traded him away to a willing team, the Oakland Raiders, for draft picks in return. The Patriots organization doesn’t respond to players on their team that make demands and want contract extensions. They simply cut ties with that player and avoid having the headache, usually continuing to win games. Moss in the end was no different than any other player; he was expendable. So which team got the better deal with this trade? 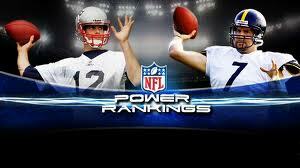 On paper, you would have to say the Vikings because they already have a Super Bowl caliber team. They’ve been banged up with some injuries recently, the biggest one being deep threat WR, Sidney Rice. It made sense for the Vikings to go after a player like Moss to replace that deep threat; but once Rice returns, the Vikings will probably have the best offensive personnel: Brett Favre at QB; Adrian Peterson at RB; Sidney Rice, Randy Moss, and Percy Harvin as the WR’s; Vishante Shancoe at TE; and perhaps one of the best offensive lines in all of football. Lets look at the other side. I believe the Patriots win in this situation as well. The Patriots are doing what they do best: stockpiling draft picks and building their team through the NFL draft. The Patriots did well with Randy Moss yet never won a Super Bowl with him. Judging by this move I would say that they are going back to their roots under Bill Bellicheck: ball control offense with Tom Brady throwing the ball around the field to different receivers. This also helps them with their young defense that’s having trouble. It would keep them off the field via their control of the possession time. Some people tend to forget that this is the brand of football that won the Patriots 3 super bowls in 4 years and almost took them to another one in 2006. Bill Bellicheck and the management knew what they were doing when getting rid of Randy Moss and other veterans during these last couple years. They’re building a younger team and putting talent around Brady; talent of whom they feel will ultimately be successful. When the Patriots won those Super Bowls, they didn’t have a star studded receiving core. Names like Deion Branch, Troy Brown, David Givens and David Patten weren’t pro bowl receivers but good route runners that fit New England’s offense to a “T.” This is what their organization envisions when they look at the young core of receivers they currently have. 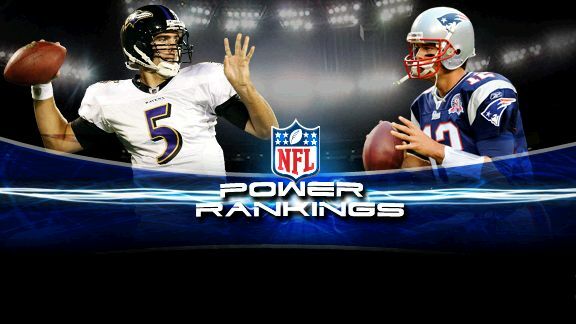 Brady, like Manning, make mediocre receivers look like pro bowlers. Final Conclusion is that both teams won with this trade. The Vikings received the deep threat that they have been missing so far this season because of injuries, and the Patriots got the draft pick they wanted and can transition back to the style of football that won them 3 Super Bowl Championships.